Switch to flexible working. Manage different work time models and rules. Online. Anytime, anywhere. It’s your business, so have it your way! 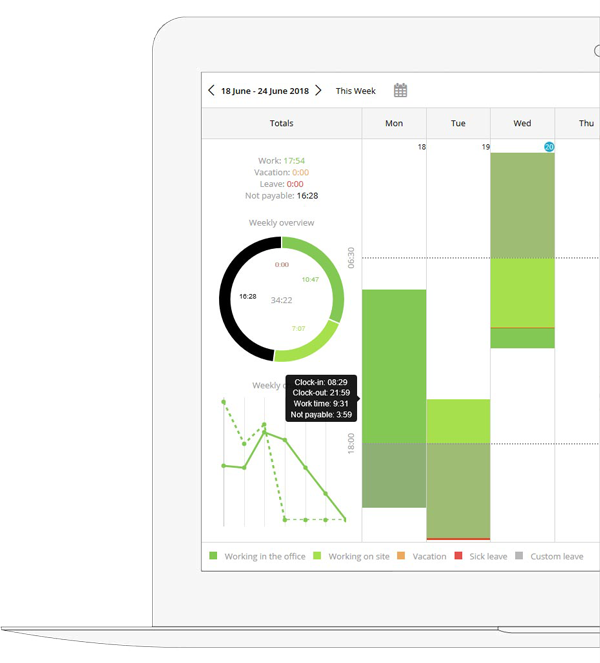 Get a live view of your employees’ time and attendance data. 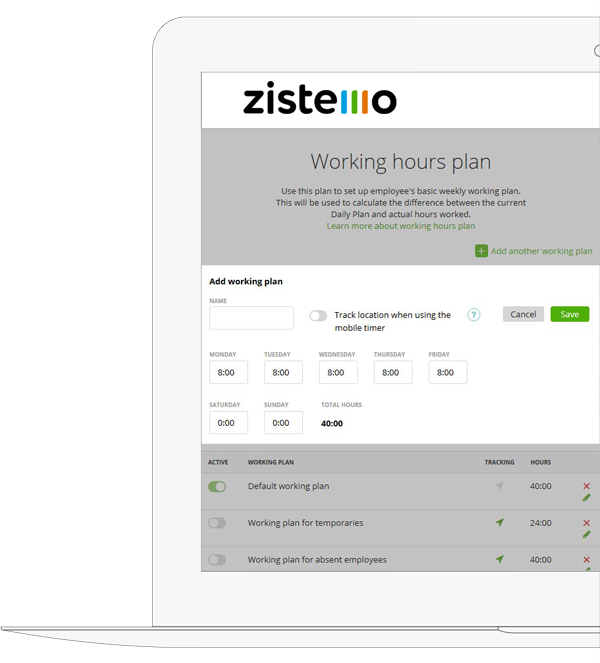 With our powerful yet user-friendly tools, you’ll stay informed at all times about your workforce’s working hours, overtime, sick days or holidays. 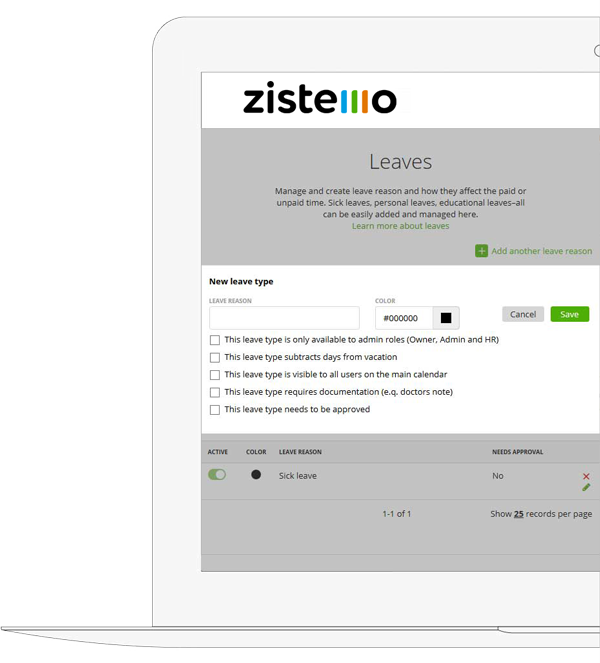 Go digital with a time and attendance software that both you and your employees will love. It’s smart, quick and ridiculously easy to use. Digitalize your time & attendance processes. With our time clock app, employees can easily clock in and clock out from their phone, laptop, desktop or any other device. Professional live time cards display. Accurate individual or team-based time grids. Work calendar with a daily/weekly/monthly/annual view. Easy access to clock-in and clock-out times. All the time and attendance data you need in one go, live, 24/7 synced across any devices you or your staff use. Accurate and reliable electronic time records. Advanced approval rules and notifications. Geofenced employee clock in rules. Maximum data privacy and security for all users. 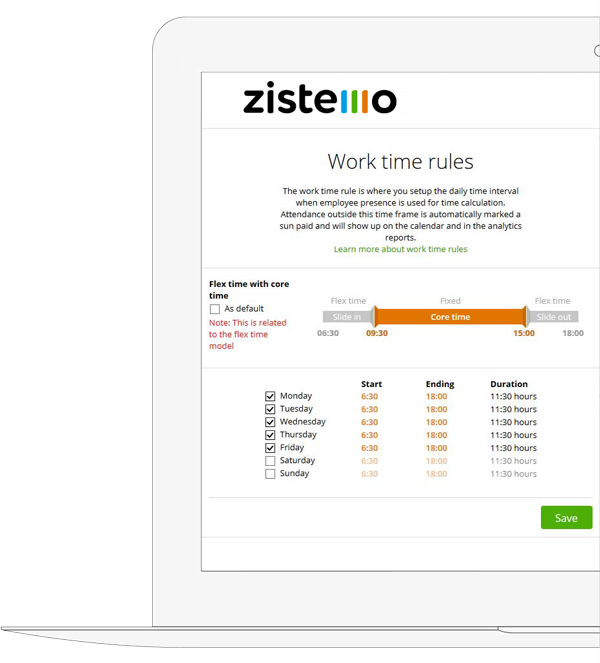 Staff can clock in or clock out from anywhere, without losing contact with supervisors. Our time and attendance features are designed to help you save time and money from day one. If there’s an app for everything, why waste countless hours on tedious, error-prone payroll calculations? 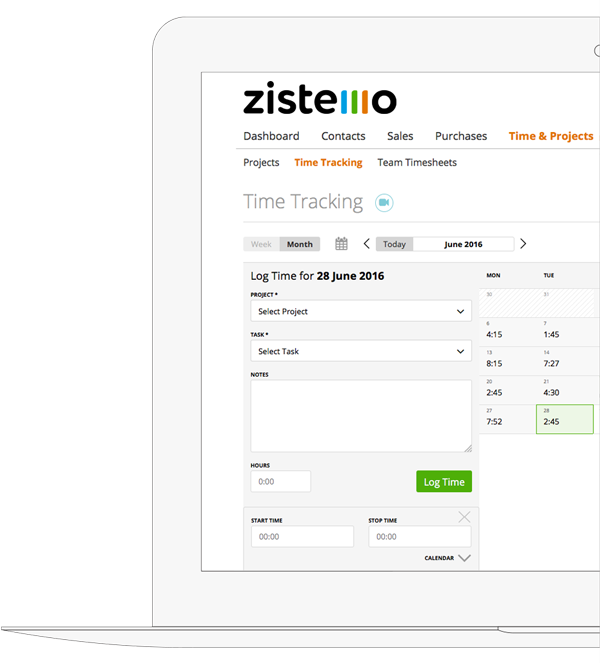 Our smart time and attendance tools will instantly automate payroll processing. No data entry errors. Just powerful, seamless automation. Instant time records transfer, import, export and processing. Minimize the costs of manual payroll rolling. Generate accurate payroll reports in a fraction of the time. Go beyond the traditional 9 to 5. Upgrade your business with the latest digitalized time models that mix core time with flex time. Keep all your employees equally motivated. Allow them to balance their personal life with their career goals. Keep positive and negative time balances under control. 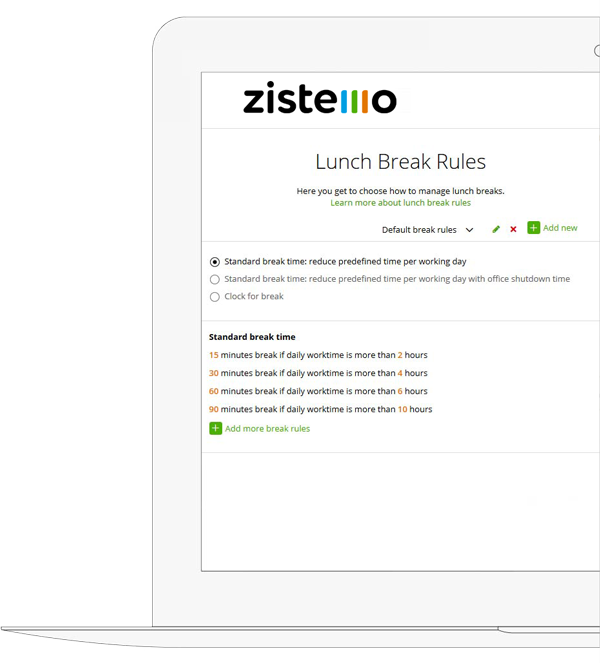 Automated flextime reset. Click, click. Done! Narrow down attendance, lunch break or absence to user level. 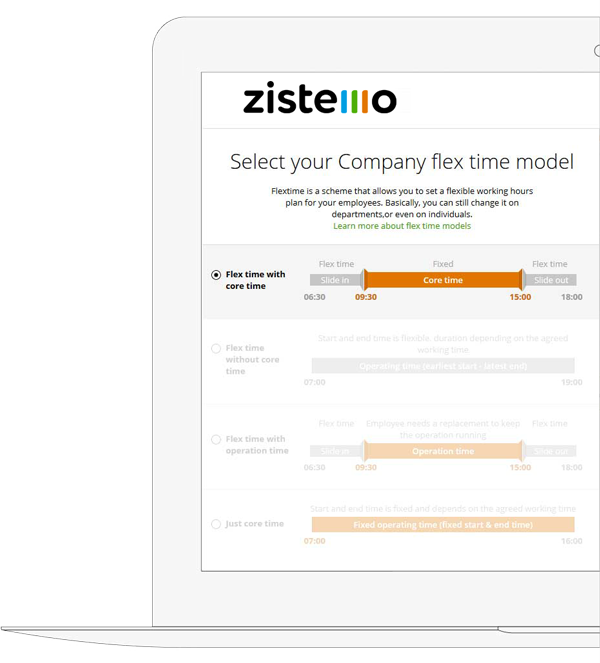 Pick our flex time models, designed for businesses of any size across multiple industries, from creative agencies or retail, to production units and software enterprises. Why stick to paper-based time tracking or leave management? Our solution helps your business take the big leap to the cloud. Online time and attendance management is the future. No maintenance, no installation required. No training. 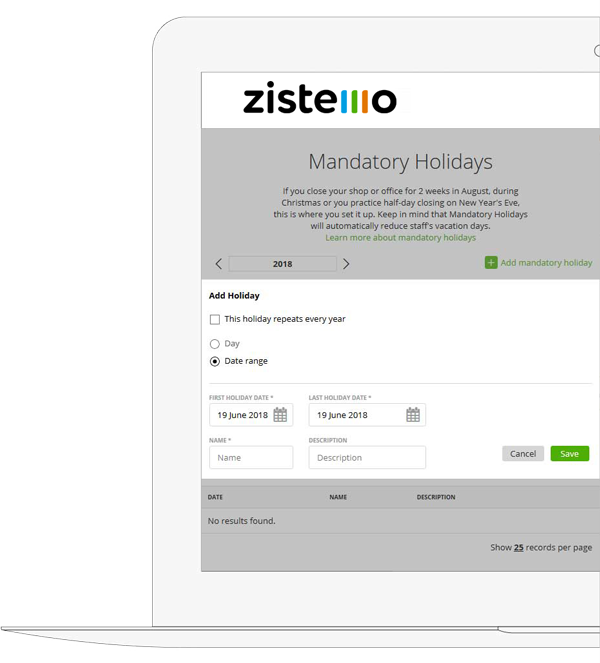 No need to manually calculate time off, sick days, holidays or overtime. User access and visibility across all desktop or mobile devices. 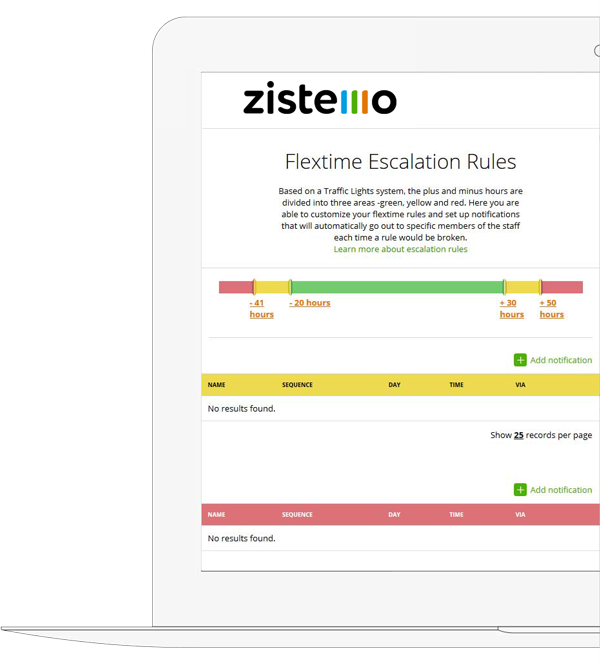 Accurate flex time escalation rules and alerts that prevent bad practices. Keep your labor costs under control. Make timely decisions. Give your employees the freedom to work where and when they are most productive, while still monitoring their progress. Make the best of your time and attendance data.